Get access to Amazon's world-class fulfilment network and reach millions of customers across the EU. With FBA, your eligible products are automatically offered with Prime delivery options in all five of Amazon’s European marketplaces. Choose some or all of the FBA options we offer. 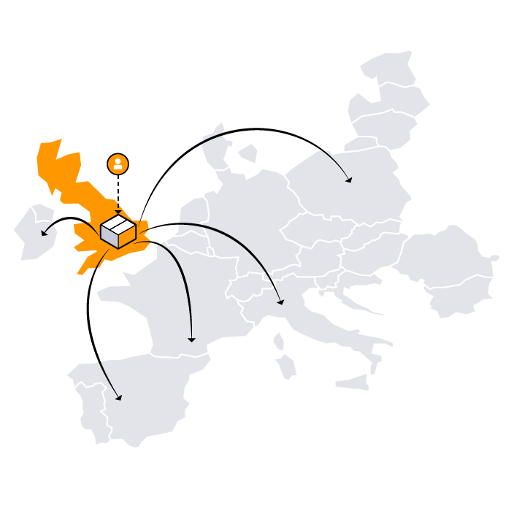 Send your products to an Amazon fulfilment centre in your home marketplace and let Pan-European FBA distribute it throughout Europe, based on anticipated demand. Get your inventory closer to millions of EU customers, allowing for faster delivery. * On average, FBA sellers who join Pan-European FBA increased their sales by 30%. Based on a 2017 survey of 10,175 sellers, of whom 300 joined Pan-European FBA. ** Oversize items will incur a surcharge in the UK, France, Italy and Spain from April 1, 2019 onwards. See fee details. Ship your products to our fulfilment centre, simplifying inventory management. Enjoy Prime eligibility for fast delivery. Pay only local fulfilment fees on domestic orders. Deliver to Amazon's other European marketplaces with cross-border fees. Choose which countries you want to ship to and store your stock in. Pay local fulfilment fees for sales in the marketplaces where you store products. Sell to customers even in marketplaces where you choose not to store products and deliver with cross-border fulfilment services. 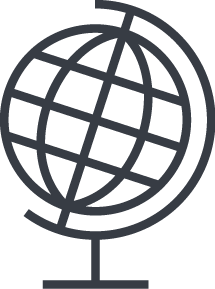 Whatever business you’re in, FBA can help simplify your international selling. But don’t just take our word for it: Meet some of our sellers to hear how FBA has taken their business growth to the next level. Amazon Prime is an increasingly popular membership programme for Amazon customers; it gives them fast and unlimited One-Day delivery on eligible purchases plus additional advantages for an annual membership of £79. Moving and storing inventory in an additional country triggers some additional VAT obligations and may involve some other reporting requirements such as Intrastat. Be aware that you will be responsible for the collection and payment of your taxes as well as the filing of all relevant returns and invoicing. You can find more useful information about VAT here.